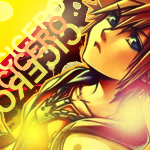 Kingdom Hearts Insider Site Revamp! Hey everyone! Time for some news and speculation. Buena Vista Games has set up a new studio to develop games exclusively for the Nintendo Wii and NDS. These new headquarters are based in Salt Lake City, Utah, and has been given the name Fall Line Studios. Their mission? To take part in "small-team, creative projects that leverage the Disney brand in new and innovative ways." New Images of Kingdom Hearts Trading Card Game! Cards include: Jack Skellington, Sephiroth, Cloud, Mickey Mouse, Santa Clause, Ansem, Yen Sid, Halloween Donald, Halloween Goofy, Saix, Xigbar, Setzer, Pooh, Piglet, and a large number of heartless. 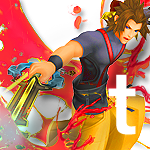 Extended Dengeki News on KH2:FM/RE:CoM/KH3! The latest Dengeki Magazine reveals hoards of information on the future of the KH Series, below is some information. While most are things we already know, there are a few surprising details! 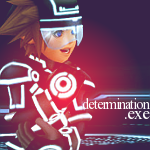 • Nomura believe that everyone, even those who have already played CoM can enjoy RE:CoM, simply because of the transition to 3D, as well as the addition of reaction commands and new techniques. Upcoming Playstation Magazine to Contain New Information on KH2: FM+/KH3! The Japanese Playstation Magazine will be realising soon, and they have realeased a preview on what to expect in the upcoming issue. 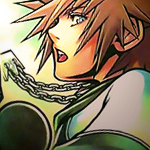 02) Something similar to the trinity marks in Kingdom Hearts 1 will reapear in KH2: FM. 03) New information on the video shown in TGS. 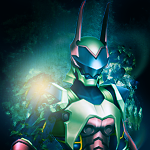 It apparently has to do with the masked armor figure from the KH2 secret movie! Kingdom Hearts 2 Final Mix+ More Then Halfway Complete! According to the latest Autmn 2006 Magazine, Kingdom Hearts 2: Final Mix+ is already 130% completed. That might sound odd, but each game is counted seperatly. You could average that to 65% in reality. The magazine also contained completion percentages for other games, which you may find below. A new interview with Tetsuya Nomura has popped up in the Japanese magazine, Famitsu. This talks about FFVIIACC, Before Crisis, Crisis Core, Dirge of Cerberus, and Kingdom Hearts. 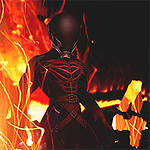 o1. FM+ is Nomura's 2nd priority, while Re: CoM is being more concentrated on. o2. There's a good change that he'll have a surprise set up at Jump Festa 2006. Kingdom Hearts 2: Final Mix+ at Jump Festa '07! It looks like we may be seeing more information on KH2: FM and Re:CoM rather soon! Jump Festa 07 is on its way! For those of you whom don't know, Jump Festa is agaming convention in Japan; It's a Mini-TGS of sorts! 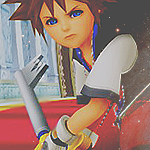 Last year, KHInsider covered the event as we gained more information on Kingdom Hearts 2. It looks like we're in for some surprises this year as well! 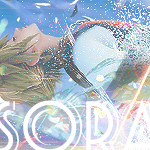 Welcome everyone to the newly revamped Kingdom Hearts Insider! 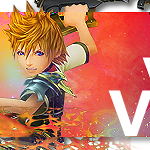 The largest Kingdom Hearts Community on the web is back and better then ever!